Beautiful beach only a half mile away! New back deck and completely re-shingled house exterior! 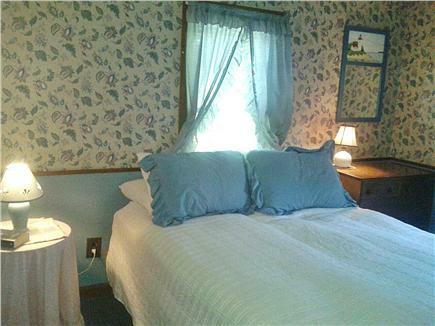 This is a ranch style house that sleeps 6 comfortably with central AC. 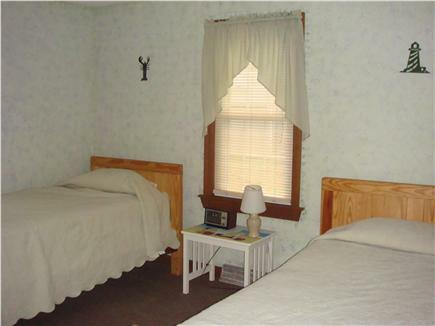 It is clean and neat and has 4 single beds, 1 queen size bed and a full bath [All you need to bring is sheets and towels]. 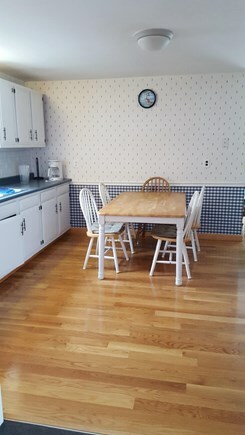 The eat-in kitchen seats 6. 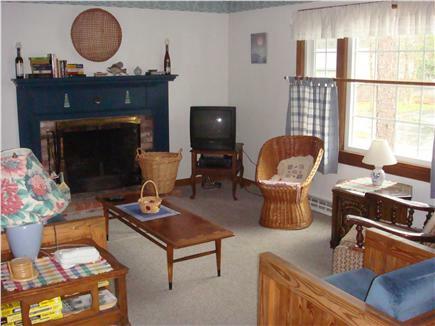 The living room is 12x20 with a fireplace, cable TV and VCR/DVD. A second TV is set up in the back room. The internet is also included. The backyard is fenced in and there is patio furniture, a gas grill and an enclosed hot and cold outside shower. 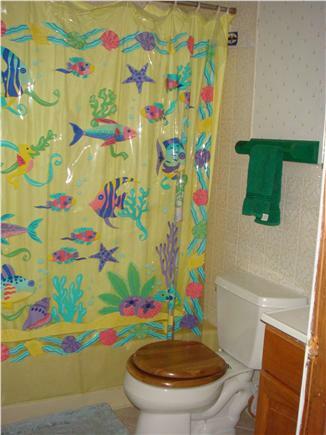 The house is ½ mile from the beach. 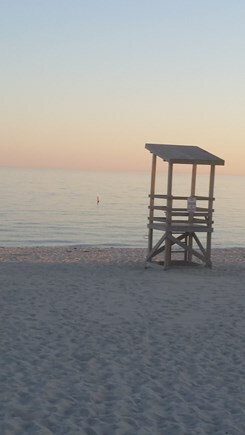 We leave 6 beach chairs for your use and less luggage in your car. Other local amenities nearby are: 3 golf courses, six batting cages, a video arcade, paint ball, miniature golf, 2 supermarkets and churches. Hyannis is only 6 miles away! No Cleaning fees. No pets please. Have stayed here a few times over the last several years...loved it even more when a.c. was put in. 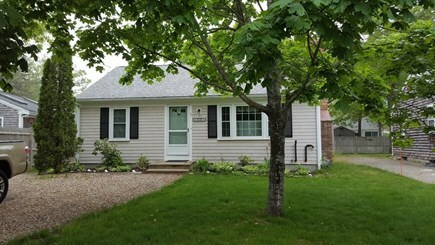 The house is well maintained, very comfortable, and spacious, and the outdoor shower is great on a hot day, along with the yard and deck...very close to several beaches, as well as good restaurants...Can easily head further down the Cape or up to Hyannis for more exploring. Great hosts...Headed back down this month. This will be our 5th year renting from Paul. We look forward to our vacation each year and can't wait until August. 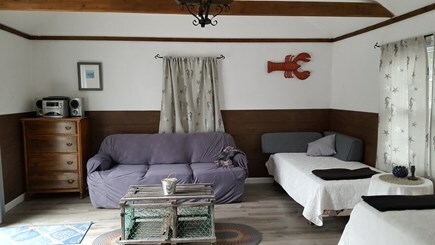 The house is clean, well cared for and comfortable. Each year they make many updates. Last year they added central AC. 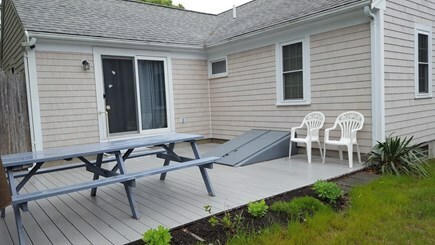 The cottage is in a great location, close to the beach, great restaurants, mini golf and go-carts. Our children love the beach and playground located right down the street. 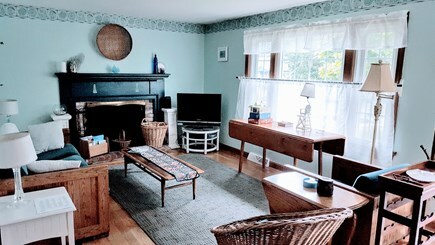 My wife and I have owned this home on Cape Cod for 38 years. We consistently make updates to the home that was built in 1979. This year we added central air and reseeded the front lawn. Location is always key. We are one-half mile from the ocean and on the inside of route 28, meaning that you can walk to the beach without crossing major roads. Yarmouth is close to everything. Shopping is a 5 minute drive and Hyannis is 10 minutes away by car. The arcade for kids is also a 5 minute drive.